Dangerous game rifles must be powerful enough to penetrate inch thick hide and punch through thick skulls, break heavy shoulders, spines, hip, and pelvis bones. The heavy bullets used must be able to reach the brain or heart/lung region from any angle. Shots may be from as close as a few yards out to 200 yards and need to anchor the animal in case a second or third shot is required. 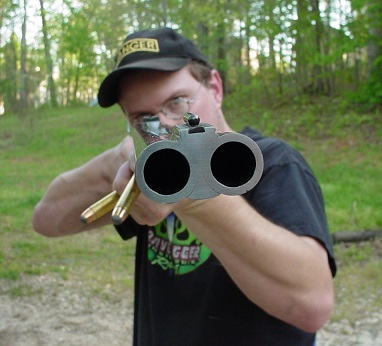 Firing a large caliber rifle is very punishing to both the rifle and the shooter. The rifle must be powerful, accurate, and reliable. The power comes from a large caliber projectile with sufficient velocity to take the largest, toughest, and meanest game in the world. The accuracy comes from quality actions, barrels, sights, scopes, and proper bullets for the job. Reliability comes from fit and finish of the quality parts and components. The stocks need to be very durable to endure the recoil. The barrels are generally shorter and heavier due to bore diameter. The sights may be either fixed or a mounted scope. Big game rifles have evolved with the improvements in machining, materials, chemicals, and technologies. Big game rifles used to be limited to a couple hundred yards. Today, big game rifles are capable of killing at close to a mile. Realistically most big game hunting shots are six hundred yards or less. Advances in powders, bullets, and optics have been dramatic over the last twenty years, and most big game rifles today fire their projectiles at 2,800 – 3,400 feet per second. Highly engineered bullets have both high ballistic coefficients and controlled expansion. These combinations have brought the big game rifle into a new era. 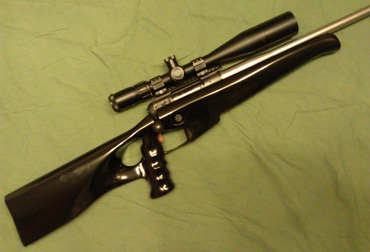 Varmint rifles cover a wide range of calibers as the animals considered varmints vary greatly in build, and size. The varmint rifles have also made extreme advances with velocities over 4,000 fps and super explosive projectiles. Varmints like wolves, mountain lions, hogs, and coyotes are tough creatures. They require a cartridge sufficient to stop animals more similar to deer. Coyotes and bob cats are considered fur bearers meaning their hides have a commercial value and are often shot with hard bullets that punch a pencil thin hole through the hide. Many coyotes and bob cats that are shot with the hard non expanding bullets are killed and never found. Alternately, varmints are shot with an extremely explosive bullet that expends its energy and does not exit. The super fast expanding bullet often drops the coyote or bob cat in their tracks. CG&A recomments the 6mms and larger 22 calibers for coyotes and bobcats. Hunting ground hogs, crows, and prairie dogs calls for high velocity flat shooting highly explosive bullets. These creatures have thin skin and not much body mass. You want a bullet that virtually exploads so as not to have ricochet issues behind the intended target. CG&A recommends 22 centerfires and the 20 and 17 calibers for ground hogs, crows, and prairie dogs.